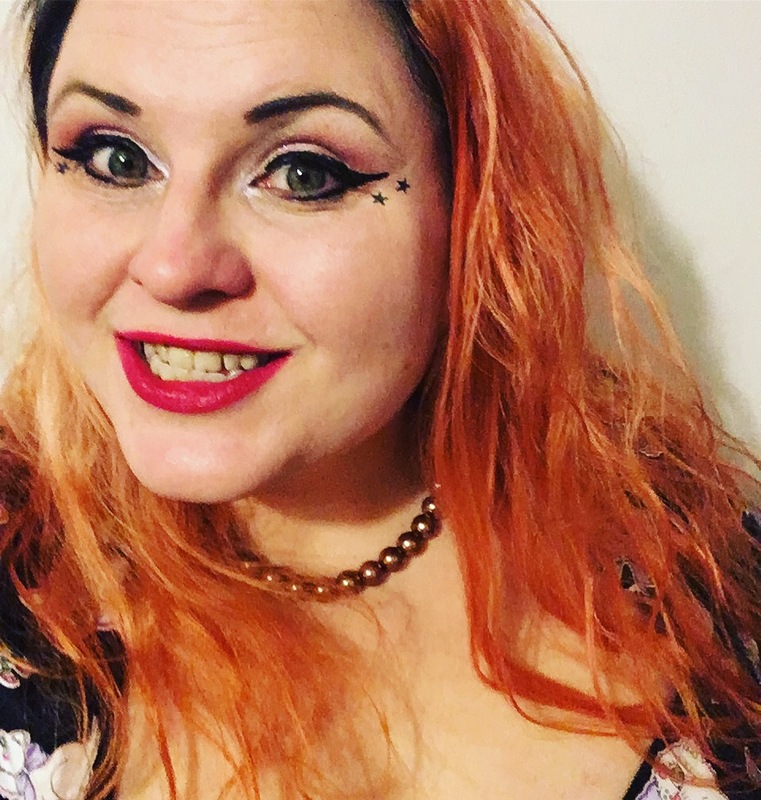 This heatwave in the UK has been both beautiful and insane and I have truly felt like a melting ice cream cone. Especially when a big part of my job is having a hot steamer on at work phew fans have not been able to work hard enough. Other than making sure that I have been using a great SPF to keep my skin protected from the rays I have also been using a miracle product in the form of a face mist or many face mists. 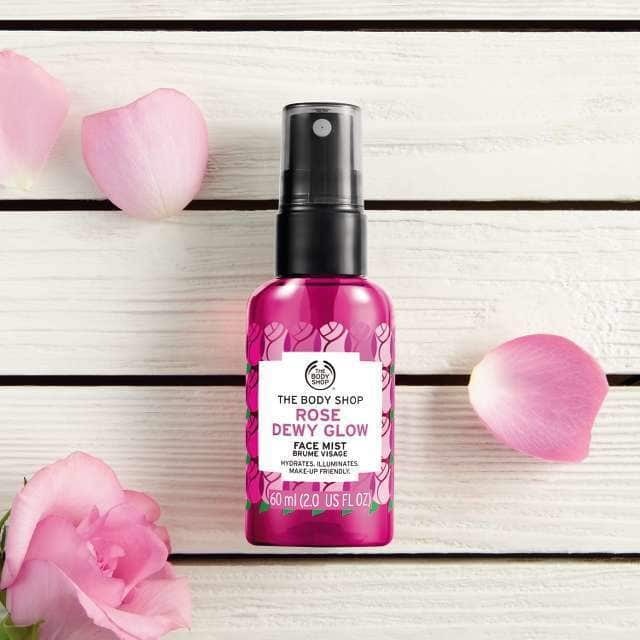 As you know I have become a Body shop at home consultant and have been having so much fun exploring the products and the face mists have quickly become a daily favourite in the heat. I have always been a fan of using face mists to help cool down having a blast of refreshing spray on your face can really help from plain water ones to mists that have great benefits for the skin. There are five face mists to choose from and they all have different benefits. You can choose from mint, coconut, mandarin, rose or strawberry they all smell good enough to eat. Why Use A Face Mist? Every day elements on your skin can impact on your skins health and especially in the heat we have to work that little bit harder to keep our skin nourished from the sun. Using a face mist in your skin and make up routine can help add moisture back into your skin and Body shop have gone the extra mile to add individual benefits to each mist These mists are make up friendly you can use them underneath or over make up and work as a great setting spray too! Keeping cool and keeping my make up intact in this heat is a winner in my books. 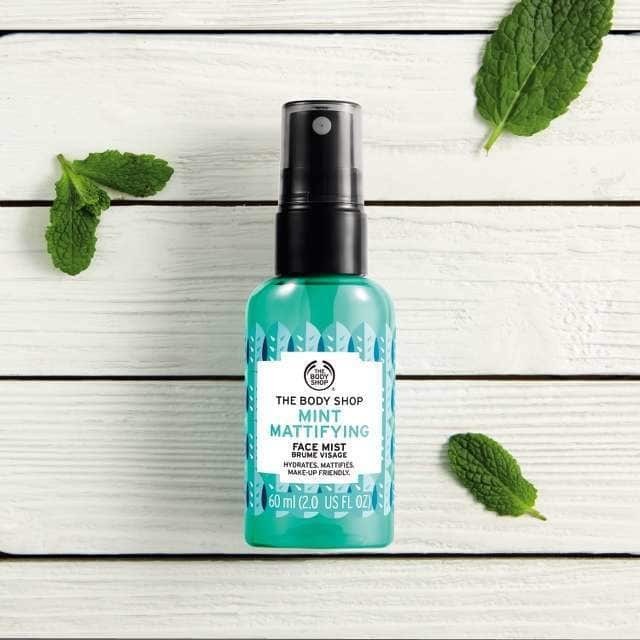 First up and one of the most popular is Mint Mattifying this mist is aimed at adding a matte finish to your make up or reducing shine on your skin. In this heat I definitely find myself getting shiny and it can be super embarrassing so this little heaven in a bottle has been amazing for helping reduce this. As with all Body shop products this is packed full of fair trade community supporting ingredients that bring extra benefits for your skin. This particular face mist is enriched with mint from Nicaragua, Seaweed extract from Ireland and Kaolin powder from right here in sunny England. The Kaolin powder is a special ingredient which helps to give that amazing matte finish to your skin without doing any harm and protecting your skin. As this is a powder it is recommended to give this mist a good shake up before using as it can settle to the bottom sometimes and gives the mist a cloudy look so don't worry that's just the magic ingredient. This spray is lovely and minty but in a refreshing subtle way so fear not you will not be walking round smelling like a stick of gum. The mint gives this mist an extra refreshing feel. The coco calming mist is great for sensitive skin and is packed with natural coconut water, Bisabolol an oil found in chamomile and aloe vera. These lovely ingredients work to help calm, sooth and smooth the skin. 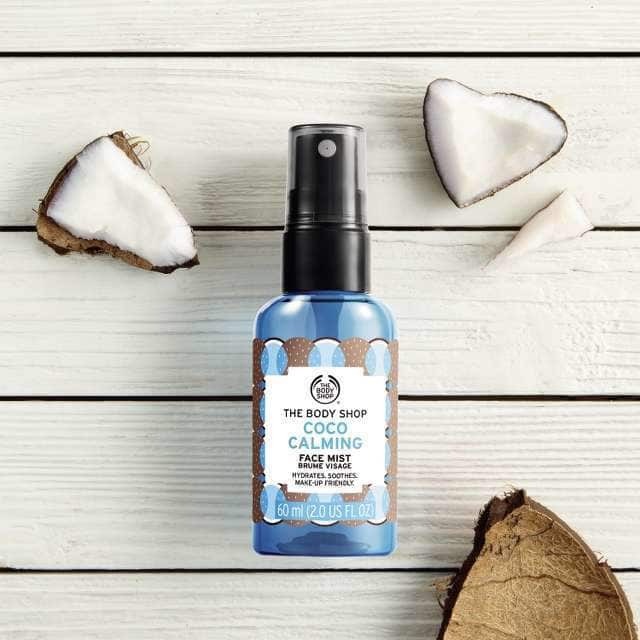 As the coconut comes from coconut water this is a very delicate coconut smell and not as strong as say our lovely body butter but as a mist I find that perfect as you want a light scent that isn't going to be super noticeable. 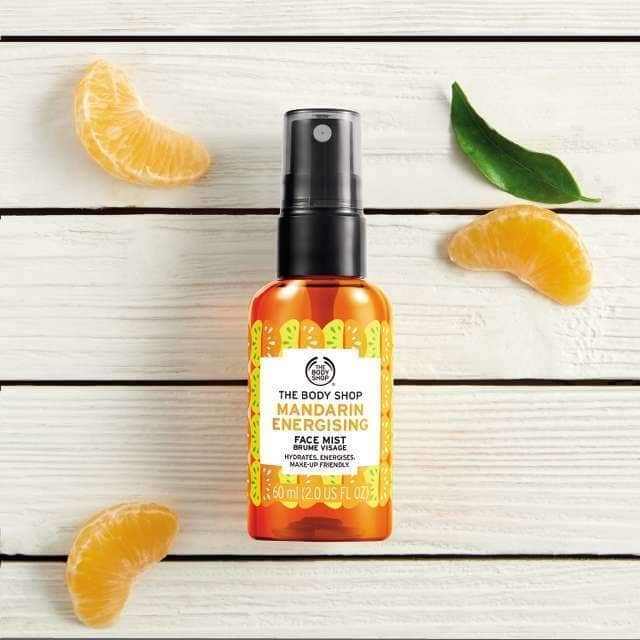 This face mist will put a zing back in your step for a refreshing kick start the mandarin energising has caffeine, camu camu berry, mandarin extract and maca root carrot. This mist helps not only soften and nourish your skin but refresh and liven up dull tired skin. The fresh fruity orange smell helps lift your spirits and wake you up. This one has lived in my handbag constantly the only time I have taken it out is to pop it in the fridge to get it lovely and cool for that extra refreshing impact. You can store them anywhere I just like the cooling effect when they are chilled. 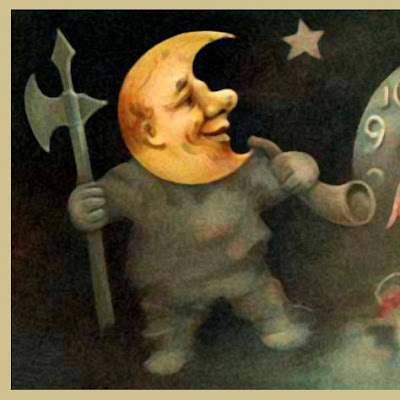 The rose essence comes from right here in England which works in harmony with raspberry essence and cherry water. I love the dewy finish this gives my skin it gives a fresh glow which helps awaken your skin. This is by far my favourite scent out of all of them it smells so fresh and lovely but isn't over powering. 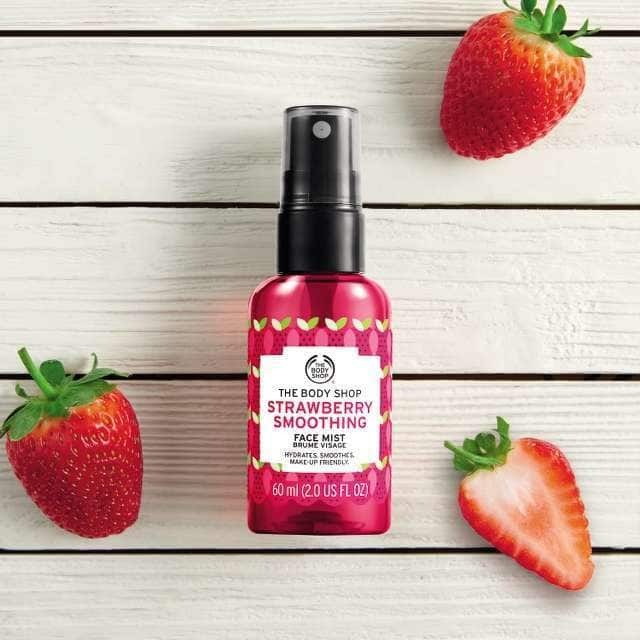 This mist features strawberry and guava from Brazil which helps smooth the skin to give a more balanced complexion. This helps by giving a slight tighten to your skin and is great under or over make up. These all smell lush and I love that each spray has added benefits to them. My favourites have been the Rose dewy glow ans the strawberry smoothing but I have been addicted to them all. 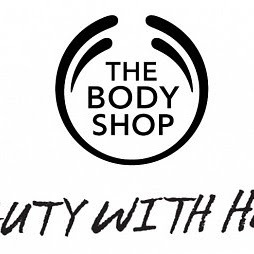 They are currently £6.00 but if you join Body Shop At Home With Kitty Kelly over on Facebook I have some exclusive discounts. 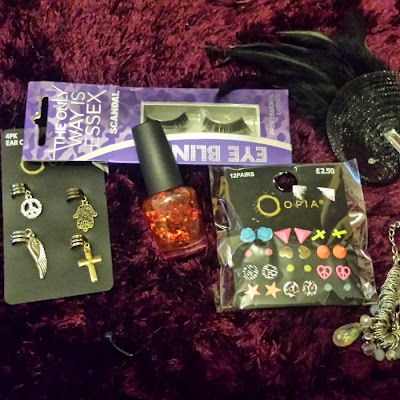 All this and cruelty free too! Which Face mist would you try?